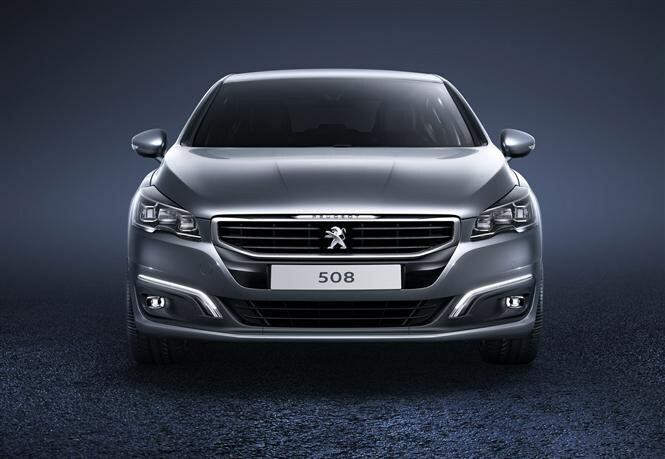 This is the latest iteration of the Peugeot 508, unveiled today at an event held by the French carmaker in London. It will reach European dealers in September 2014. 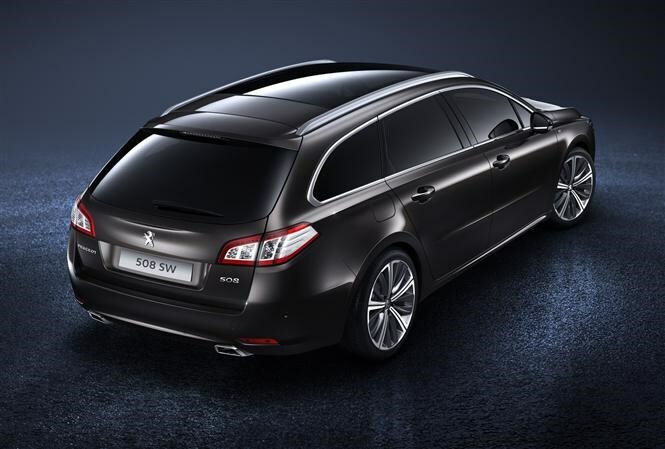 To keep the large family car, first released in 2010, up to date it has been given heavily revised styling front and rear together with a smarter, more high-tech interior and cleaner, greener engines from Peugeot’s latest powertrain range. The company describes it as the ‘flagship’ model in their range and a part of their ongoing aim to reposition their image as a more premium brand. As before, it is available as either a saloon or estate along with a separate four-wheel drive hybrid-powered RXH estate model. Although if you squint you can tell the new 508 is a facelifted evolution of the existing model rather than an all-new car, it looks rather different at the front with a new, more vertical grille, re-profiled bonnet and glitzy all-LED headlights (which will be standard across the range). It’s all change at the back too, with the tail-lights having been redesigned to appear laid flat along the car’s flanks and now sporting three separate red ‘claws’ when illuminated, like the new Peugeot 308. 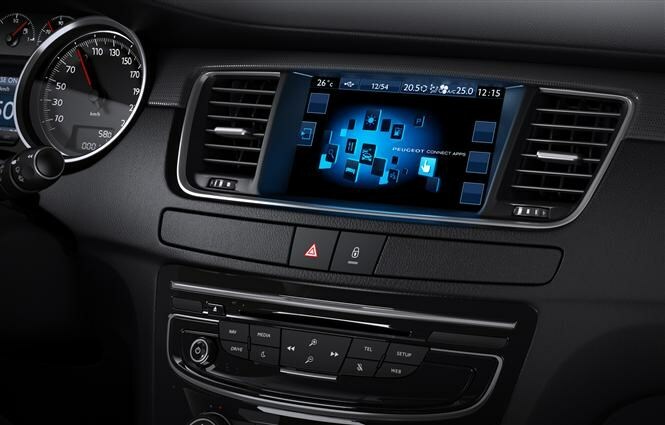 Inside, the 508 benefits from the type of large-scale touchscreen interface that typifies the interior of the 208 and 308 with a seven-inch screen taking care of multimedia and sat-nav displays as well as various controls and functions. As a result, there’s less switchgear than before and although it doesn’t quite match the 308’s ultra-minimal layout, it’s far less cluttered than the original 508. New textured-surface interior trim and a higher-quality feel throughout is intended to help move the 508, and the Peugeot brand as a whole, more upmarket. A revised head-up display system, like that found on the Peugeot 3008 and 5008, nestles behind the steering wheel. A new petrol and diesel engine join the range, promising cleaner emissions and reduced fuel consumption. The 113bhp 1.6-litre THP petrol engine replaces the current 156 THP unit and will be available with a six-speed manual gearbox or Peugeot’s new EAT6 automatic transmission. Its CO2 emissions start from 129g/km compared with 144g/km for the unit it replaces. New diesel is the 2.0-litre BlueHDi, available with either 148bhp or 178bhp. Carbon dioxide emissions for the former are an impressive 105g/km (with manual gearbox) and the latter 111g/km with the new EAT6 auto ’box. As before, there will be a ‘Hybrid4’ version with four-wheel drive courtesy of a 37bhp electric motor driving the rear wheels and a 2.0-litre diesel engine driving the front. It will achieve CO2 emissions of just 85g/km and claimed average fuel consumption of 85.6mpg. There are a couple of new additions to the equipment list too: blind-spot sensors in the mirrors and a reversing camera. 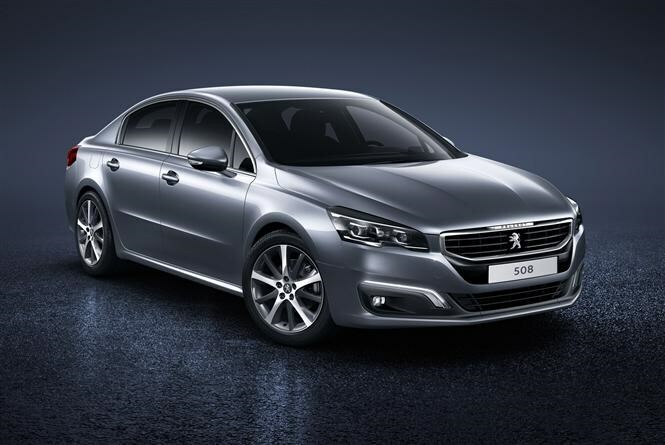 The revised Peugeot 508 goes on sale in September and we’ll be behind the wheel soon to let you know what it’s like. Prices are yet to be announced but it’s logical to expect a minor increase over the existing model. 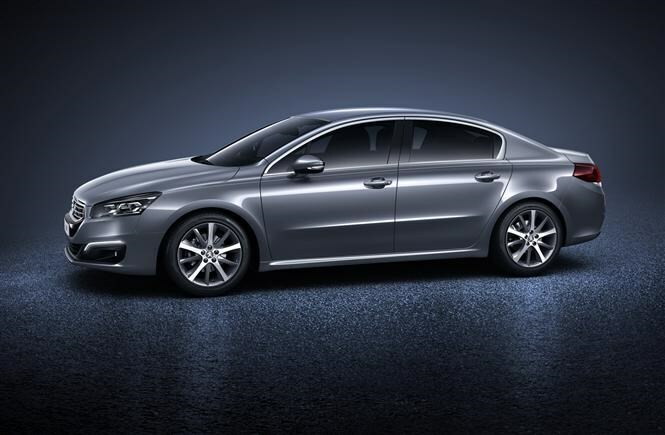 In the meantime, you can read our existing full Peugeot 508 review here.